Valentine’s Day doesn’t have to be about boxes of chocolates, flowers, cards and dinner’s out if you don’t want it to be. In fact, if you’re parents of young kids, there is a good chance you’ll be staying home, especially if you can’t find a babysitter or you’re just plain tired. But that doesn’t mean that you can’t still enjoy Valentine’s Day together. Why not try at home date night ideas? They can be just as fun and romantic as a night out. Once the kids go to bed, set up a picnic for two in a cozy corner of the house. You’ll need a picnic blanket, some cheese, crackers, grapes and wine (or whatever you like.) Grab a few candles to set the mood and you will have a perfect romantic date night at home. If you have a a nice big tub, why not fill it with warm water, bubbles and some bath beads. Then grab some champagne or gingerale and enjoy a bubble bath with the one you love. If you are movie buffs, why not have a movie night? Since it’s a Valentine’s date night, pick a romantic comedy, here is a list of some of my favourite romantic comedies. 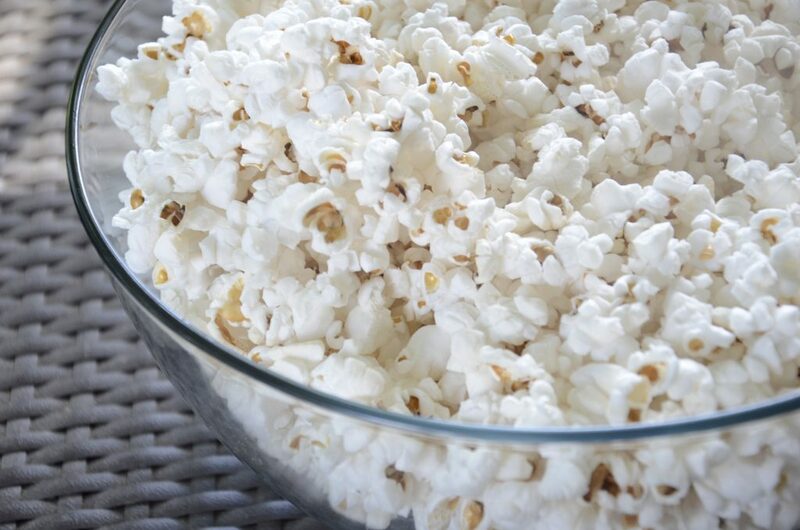 Make some popcorn and grab some of your favourite snacks. Then cuddle up on the couch and enjoy! This is one of my favourite at home date night ideas! As parents, you probably play games with your kids quite often, but games can be a fun date night for parents too! Whether it’s your favourite board or card game, set something up once the kids go to bed. And if you’re in the mood for something more interesting, try Cards Against Humanity. How relaxing would it be to get a couples at-home massage on Valentine’s Day? If you like the idea but don’t have the budget, then you can give each other massages instead. 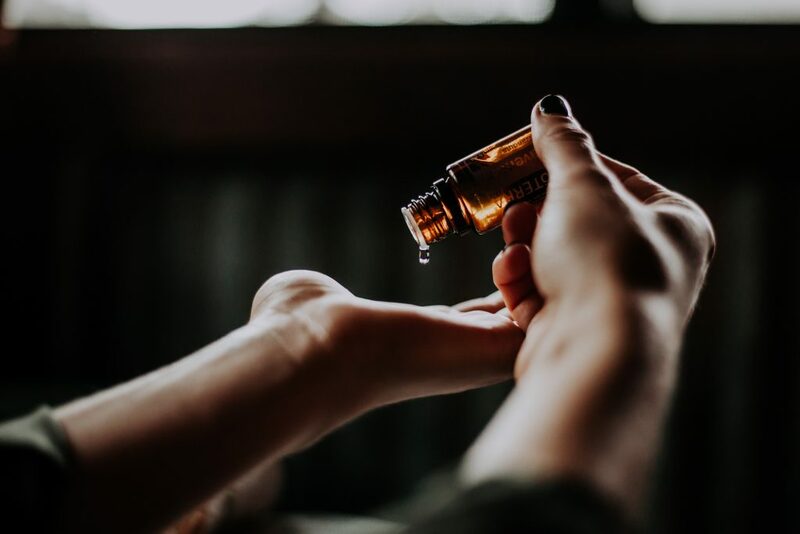 Just light some candles, get some essential oils and you’re good to go! Another fun date night could be to create a DIY or craft together to display in your home. Here are a list of great craft ideas for a date night. 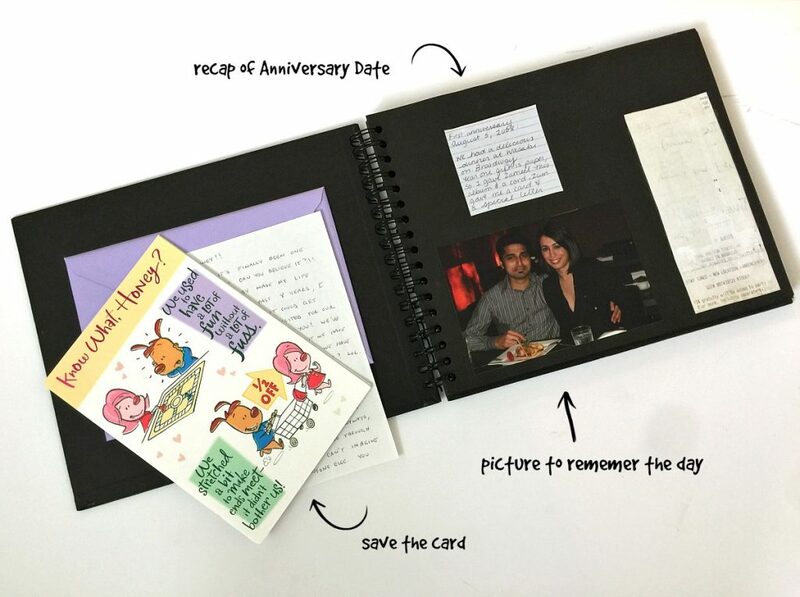 My favourite is actually creating a Wedding Anniversary Scrapbook. And last but not least, pull out the old photo albums and home movies and take a walk down memory lane to the days of dating and honeymooning. It could be lots of fun to reminisce and rekindle some romance. 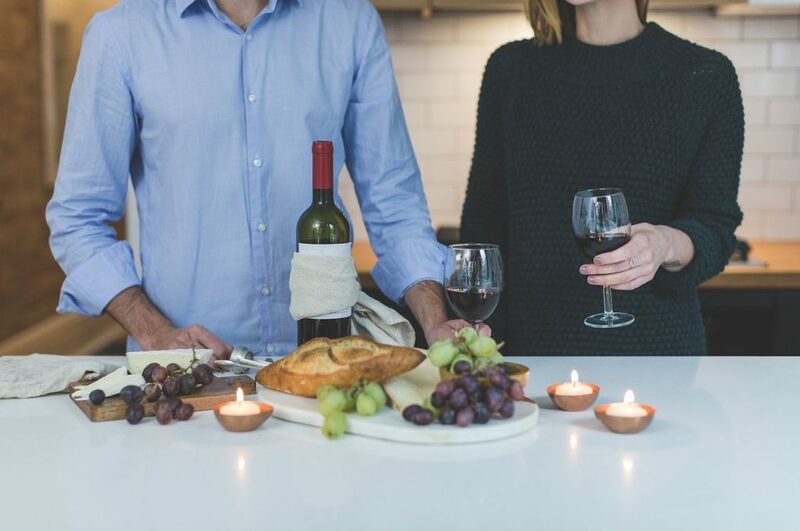 Have you ever tried any at home date night ideas that you’ve enjoyed? For more fun date night ideas or if you actually have a babysitter, here are other awesome date ideas! What a great set of ideas for enjoying a special night with your loved-one. My husband and I don’t do anything different. We married on Valentines day 26 years ago, but now, in our seventies, we appreciate our time together every night. How romantic that you got married on Valentine’s Day. Happy Anniversary! When my son was young, we used to have movie nights. Now, for Valentine’s Day, my husband prepares a special dinner. We rarely eat out. I’m fortunate that he loves to cook. That’s wonderful that you have a husband that loves to cook! What great ideas for couples on Valentines Day…..Totally agree with you, it does not have to be about candy and flowers 😉 Great post! Great ideas. Love the idea of GAME NIGHT! Date night does not happen often over here, but when we are able to we like to sit in the spa or by the fire pit and relax. Game night is lots of fun, but a spa date or fire pit sounds pretty great too. Cool ideas. Another idea is to make a special meal at home and then dress as if you were going to a fancy restaurant.